View at the bow of the new boat. I’m likin’ the new livery! This will be my adventure home for the forseeable future! The plan is to pick up my friends Chris and Nick tomorrow, and then begin the trip down the Thames, as I did last fall in the narrowboat, but this time with different rules and expectations. 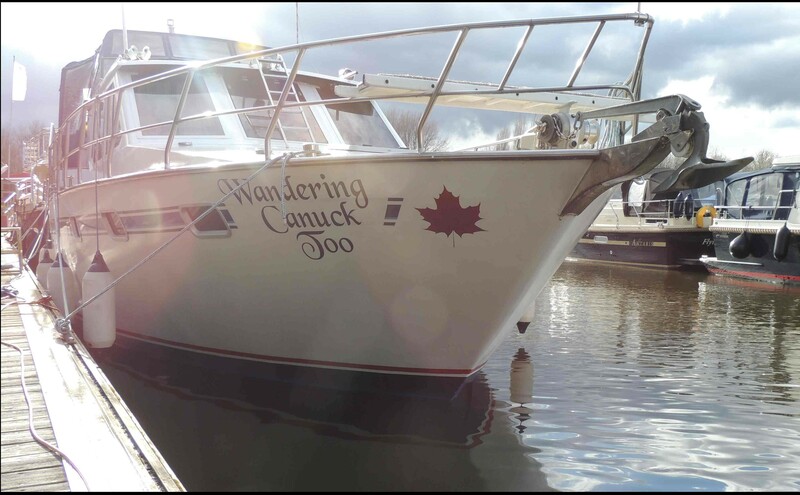 I plan to head towards Chatham on the Medway River, where the rest of the electronic navigation equipment will be installed, so that I can safely cross the channel. 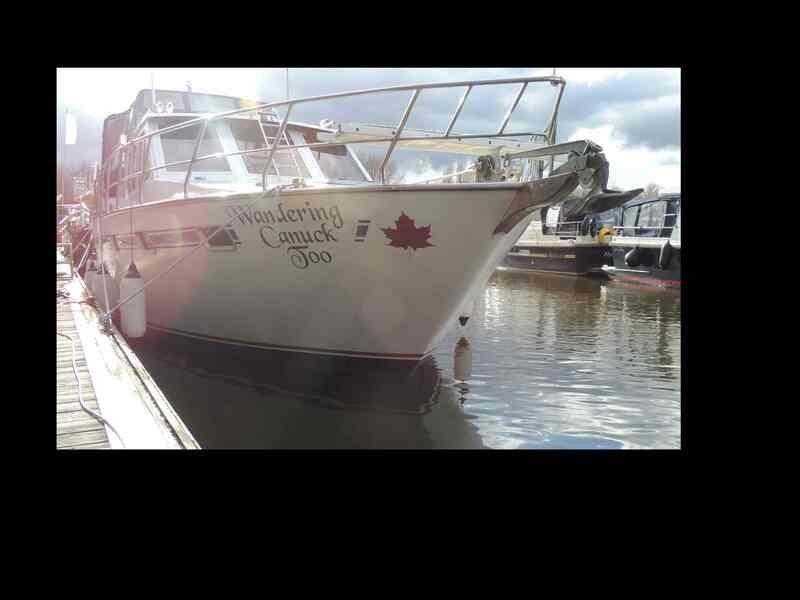 This entry was posted in adventures afield, Wandering Canuck Too!. Bookmark the permalink. Good luck with your travels Ed!